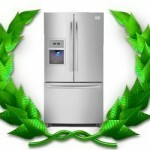 Appliance Repair and Air Conditioning Repair in Fort Lauderdale and South Florida. All Fort Lauderdale Appliance and AC Repair is your premier choice for all of your kitchen and home appliance repair needs. Certified Technicians from most major brands including: GE, Frigidaire, KitchenAid, Bosch, Whirlpool, LG, Samsung, and many more. 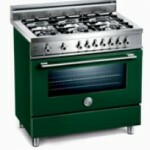 Also Factory trained technicians from: Sub Zero, Viking, DCS, Bosch, Thermador, Liebherr, and many more. 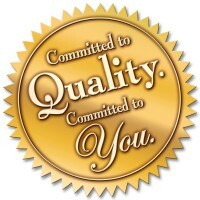 At All Fort Lauderdale Appliance and AC Repair we guarantee to always have a real, live appliance and AC repair specialist answering the phone, and your questions. Your central air conditioning system needs to be maintained regularly for your safety and efficiency. A dirty filter cause the fan motor to work hard, making your energy bills sky high. So in order to avoid that, the air filter should be replaced or washed. These filters can require monthly changing or cleaning if you use the air conditioner regularly.Other parts of your unit need to be cleaned and checked, for example, the water drain and the outside condenser part. Call a professional technician before air conditioning season so that he can perform a full inspection. You should also purchase a cover for your ac system. This will keep debris and leaves out of the unit. Put the cover on after ac season is over. Make sure you ac registers are not blocked by your furniture, drapes or carpet. To help make sure there are any ceiling or wall leaks always check that your drain line is clean and free of debris. Always make sure to keep your dryer entirely lint free. It will improve energy efficiency and safe from lint fires.Annually inspect and clean the vent pipe from your dryer. It should be cleaned of lint and dust and it should be properly attached with no cracks and holes. Clean the floor under and around your dryer. Make sure your dryer is leveled. It should be balanced on the ground. This can extend the life of your dryer.Ensure that the flaps on the outside of your house opens and closes correctly to prevent pests from entering through them, and to save energy.If your Dryer is not working completely make sure there are no blown fuses or tripped circuit breakers. Its always a good idea to check your washer fro leaks. Check out the hoses and clean the filters about once a year. You will need to do a visual examination. Check all hoses, water inlet valves and drainage system. The hoses should not have tears or look damaged or worn out in any way. If so, replace them. Make sure to shut electricity off first. If your unit has stopped working, check for blown fuses, tripped circuit breakers an proper power. Your refrigerator’s condenser coils are normally under a pop off panel at the bottom of your fridge. Some are in the back, depending on your refrigerators model. These coils need to be vacuumed annually. You can save money on your energy bills by doing so. Clean the inside of your refrigerator regularly. Turn off the unit and remove all food and any shelves inside the fridge. Then wash with a solution of baking soda and warm water. Rise with clean water and a sponge or rag. These will avoid your unit from getting scratched. Once you’ve finished replace all food and shelves. You should never have a buildup of frost in your freezer. Never use sharp tool to scratch off frost, that can ruin your unit. You clean the inside with baking soda and water. Defrosting your unit will help you too. Frost problems usually come from temperature fluctuations. If you open and close the door of your freezer frequently this can lead to frost. So avoid doing so, so often. Make sure that the seal of your freezer is not damaged. The seal can crack sometimes and if thats the case you’ll need to replace it. If your refrigerator/freezer is not working. Check for a damaged fuse or tripped circuit breaker first. Check to make sure that everything is plugged in correctly. If this doesn’t work call one of our technicians. Make sure to keep your hood clean. It tend to catch grease and moisture from when you cook and it needs regular cleaning. Do not clean exposed metal with abrasive pads or powder. 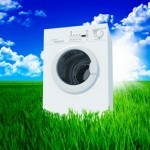 You can clean the unit with a proper solution of ammonia and water. Make sure to dry parts before reinstalling them. If you have a gas range, clean your burners with hot water and detergent. Using a stiff wire you can clean out the burner holes. Do not use toothpicks that can break the burner holes. If your unit is not operating check for blown fuses, tripped circuit breakers and proper power first. Great Service! I was very impressed. The diagnosed my Viking stove in less than 10 minutes. They went straight to work, and did not waste any time with the repair. I need a LG refrigerator repair, fast. I am so thankful I found these guys, they came 2 hours after I gave them a call. The fixed it in one visit. I just wanted to let you know that I am a satisfied customer. 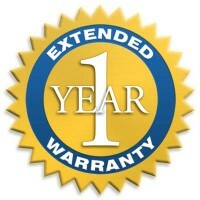 All FT Lauderdale Appliance and AC Repair (888) 704-2604 5130 SW 40th ave # 29B fort lauderdale FL, USA 5.0 5.0 2 2 Great Service! I was very impressed. The diagnosed my Viking stove in less than 10 minutes. They went straight to work, and did not waste any time with the repair.